Should Eminem be uspet he hasn’t won an Album of the Year Grammy? – Rich Russo - The King of Free Form Radio. In 2003 he lost for the Eminem Show (which I think is his best). The 2003 Grammys will always be a sore spot for me as a music fan, that’s the year Norah Jones beat not only Eminem for album of the year, she beat out Springsteen’s The Rising, which I felt should have won. So this is the only year that Eminem should not be pissed because he at least got beat by a great and probably better album. The other two years he got beat by inferior albums but so did albums that I feel were better than his as well as the winning album. When you look back at the album of the year, there’s a ton of worthy nominated acts who haven’t won, including three of the biggest album artists of all time, The Rolling Stones, Springsteen, Pink Floyd and Led Zeppelin was never even nominated for album of the year. Also Pearl Jam, REM, Foo Fighters, Prince and Green Day have all been nominated and have lost to the likes of Herbie Hancock, Alanis Morrisette, Lionel Richie. And some of the albums that are regarded as the best ever, Exile on Main Street, Born to Run, London Calling among others weren’t even nominated. And what is regarded as the greatest band ever, The Beatles, who were nominated 5 times but only won one album of the year grammy and that was for Sgt Pepper, so at least the Grammys got that one right, as that always is discussed in the best albums ever and deservedly so. U2 has won two times out of the 3 nominations it’s received, deservedly for Joshua Tree, it somehow lost for Achtung baby (which I think is their best) to an Eric Clapton unplugged album and it won for How to Dismantle an Atomic Bomb, which wasn’t that great of an album by their standards but the field that year was so weak, it deserved to win. So in reality Eminem is in great company, and will actually remain there if he never wins, I think it’s better for him to be included with the Stones, Zep, Bruce, Floyd, Green Day, Clash, Pearl Jam, REM etc than be included with Herbie Hancock, Norah Jones, Alanis and oh yeah,Christoper Cross. Stay clean brother, lay off the hard stuff, keep drinking that brisk tea, and keep doing that David Cone look, it’s a good play here in NYC. Having never heard or never really wanting to hear any of his stuff I can't really comment on his albums quality. 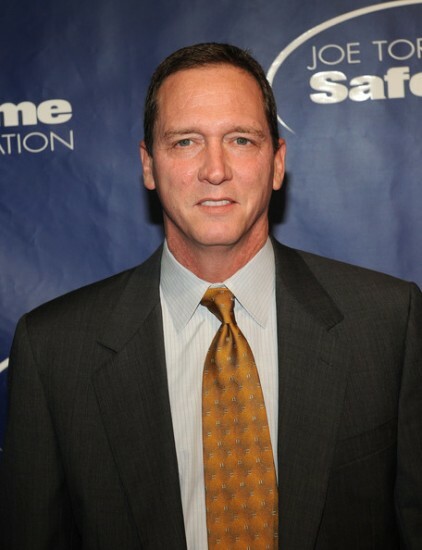 I do agree about the David Cone comparison, that's a nice call. If your an "artist" and you think you put out the best album you could think winning a Grammy, with all the horrible examples you cited, wouldn't be that big of a deal. I agree with you and I think having a album that goes down in history would be much more satisfying than a I year Grammy win. Now as I said I really don't consider Marshall a artist so ….. & I STILL can't BELIEVE "The Rising" didn't win that year!! !